Alangraphy Studio captures life’s special moments and makes them last forever in pictures. 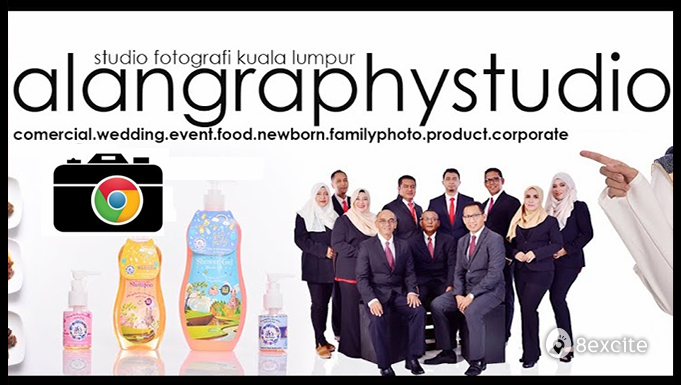 Furthermore, they share their knowledge to produce future photographers through various photography classes. Additionally, they open up their studio to others so that others can do photo shooting sessions with ease. Valid daily from 10am to 9pm (including Public Holidays). Voucher can be used to cover GST & service charges. Reservation required and must be made at least ​3 days in advance. Call +6012-2094321​ booking with your Name, Preferred Date & Time and 8excite Voucher Code. Any rescheduling must be made at least 24 hours prior to the date of the original booking. Purchases exceeding the voucher value must be settled directly with the merchant, subject to applicable taxes and charges.